Big Agnes Whetstone Shelter. 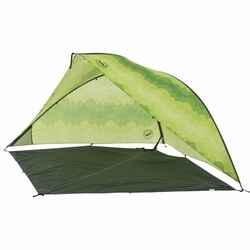 The Whetstone Shelter is the perfect accessory for long days at the beach, soccer tournaments, or music festivals. Rotate the shell with the sun for complete protection and use the mesh pockets to stash snacks, sunscreen, and coozies. Choose the size that suits you; set up is a breeze.